It's that time of year again!! Thank you to everyone in the community for coming out and supporting IVJWC at the annual Women's Club of Indian Valley Holiday Fair. Our lunch table always includes perfectly cooked hot dogs, homemade soup and beef BBQ! Not to mention delicious homemade desserts! Homemade desserts ready for sale! Robin and Connie learning to make coffee in a percolator! Our new club-year will kick off on Tuesday, September 27th. We will meet at 7pm at Zwingli Church, Wile Ave, Souderton. 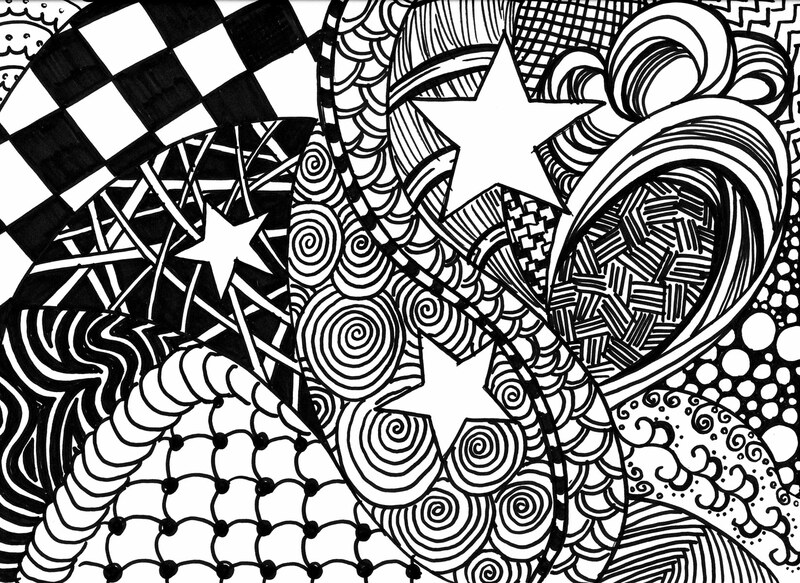 Our program will feature the art of Zentangle, taught by Deb Turnipseed. The cost will be $10 for club members, and $20 for non-members. This includes materials. Members are encouraged to bring a friend. The program will be followed by refreshments and a business meeting. Please come and check out our club!! The first meeting of the 2015-16 club-year will be Tuesday, September 22nd at 7pm. We will meet at our usual spot, Zwingli UCC, Wile Ave, Souderton. Our program will be on Health and Wellness, followed by a short business meeting. 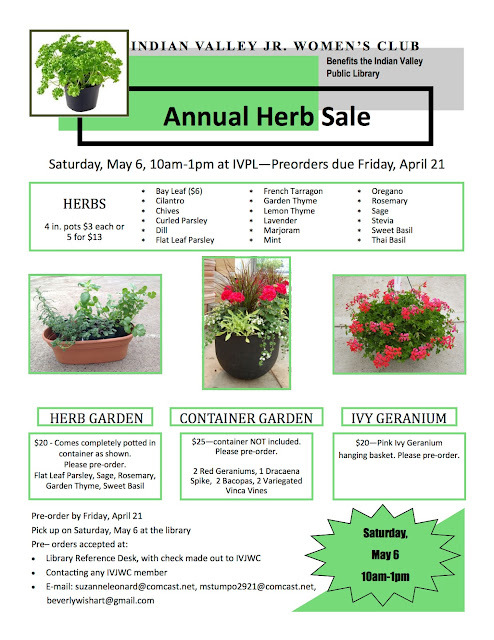 Please join us for our annual Herb and flower sale on May 2 from 10 - 2pm. 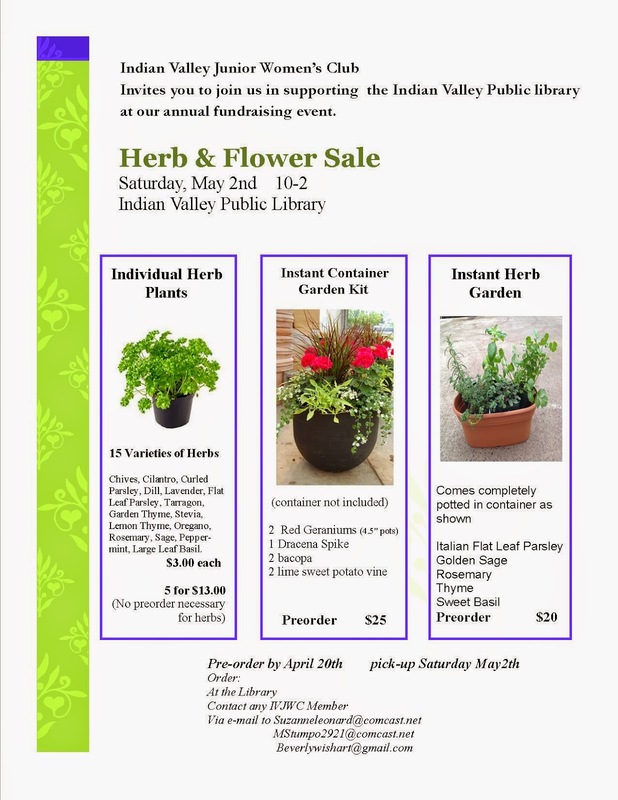 All proceeds benefit the Indian Valley Public Library. Indian Valley Jr. Womens Club (IVJWC) is a member of the General Federation of Womens Clubs (GFWC). We are a diverse group of women, bettering ourselves through education, community service and social gatherings. Meetings are held the fourth Tuesday of each month at Zwingli Church, Wile Avenue, Souderton, PA.